The district around Tokyo Station is surrounded by silver buildings, but it has another aspect in fact. 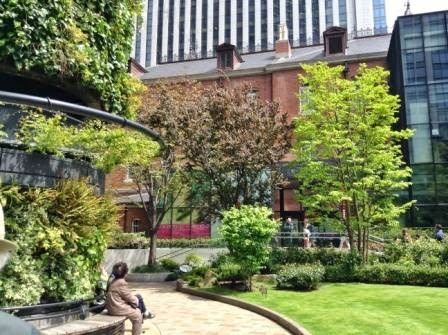 You suddenly find two brick houses among silver skyscrapers; One of them is The Tokyo Station Hotel & Tokyo Station Marunouchi Exits, and the other is this. Actually, it is an art museum. Mitsubishi Ichigokan (= means, “the first building”) was originally built in 1894 and was reborn as a museum at the original place in 2010. Late 19th and early 20th century was the age of “modern” culture. After hundreds of years of the samurai government’s national isolation policy, Japanese people meet Western culture and fell in love with it. People with high education at that time really loved European arts, architecture, culture, etc, and collected them in Japan. 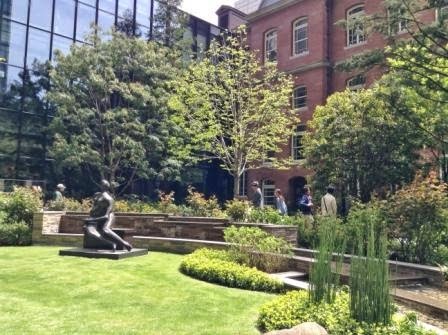 The idea of courtyard and brick houses are part of them. Their ideas of brick houses, fireplaces and courtyards are old in the 21st century, but I believe that their spirits have not become old-fashioned. In short, it is beautiful for us, too. An exhibition of impressionism paintings is held now (it’s definitely mobos’ taste!) and you will see the masterpieces in rooms with fireplaces, which are now historical. Talking about museums, I suppose Tokyo National Museum in Ueno or the architecture of National Art Center in Roppongi come first. 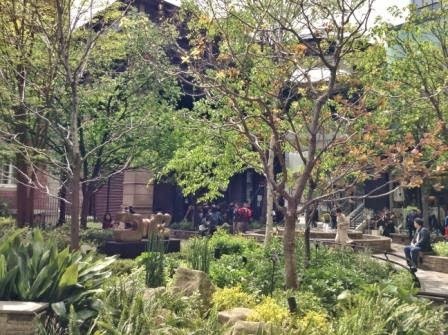 But if you hope to explore a unique atmosphere with arts themselves, Mitsubishi Ichigokan Museum must be an interesting museum. 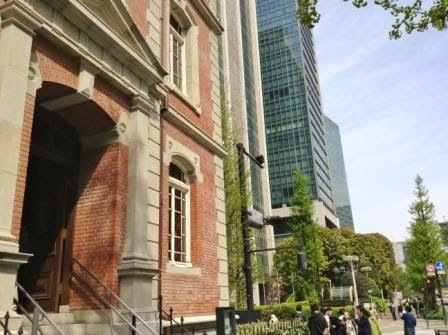 Hotels near Tokyo Station – Imperial Palace is near Tokyo Station. There are 5-Star fabulous hotels there and some feature the breathtaking views of Imperial Palace. 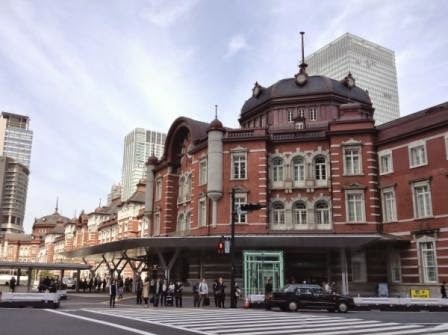 They include Shangri-La Hotel Tokyo, Four Seasons Hotel Tokyo at Marunouchi and The Tokyo Station Hotel in Tokyo Station Marunouchi Exits of the photo.